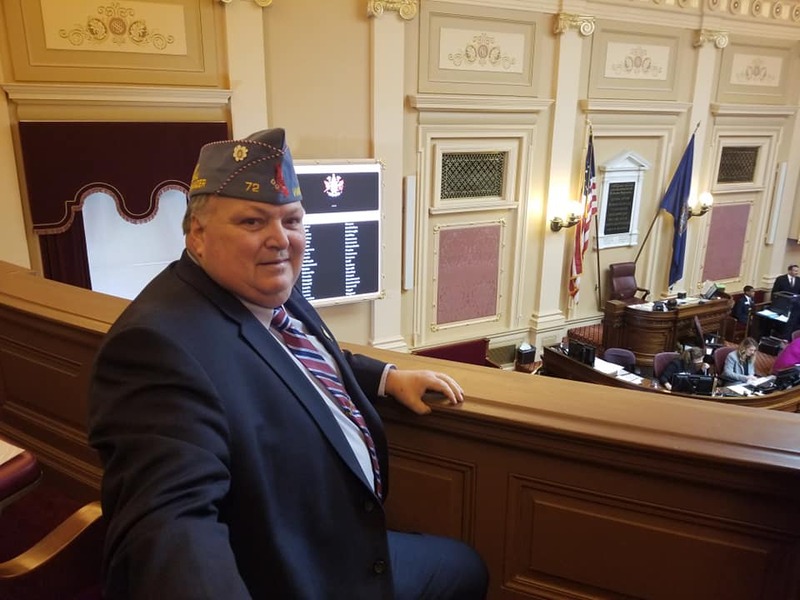 On January 16, 2019 the Department of Virginia Legionnaires descended upon the Virginia Capital to participate in the annual Day on the Hill. The purpose of the event is to provide time for Legionnaires to meet with their elected representatives and address the issues of interest for Veterans within the Commonwealth as well as addressing issues formulated by the Veterans Joint Leadership Council (JLC). The entire Legion Family was represented as Legionnaires, Auxiliary Members, and Sons met at the Department Headquarters in Richmond. They were provided a briefing on the 2019 JLC Policy Initiatives by Rick Oertel. They then proceeded by bus to the Virginia Capital. Once at the Capital the Legion Delegation met with their elected representatives from 10:00 am till about 11:30 am in their offices. 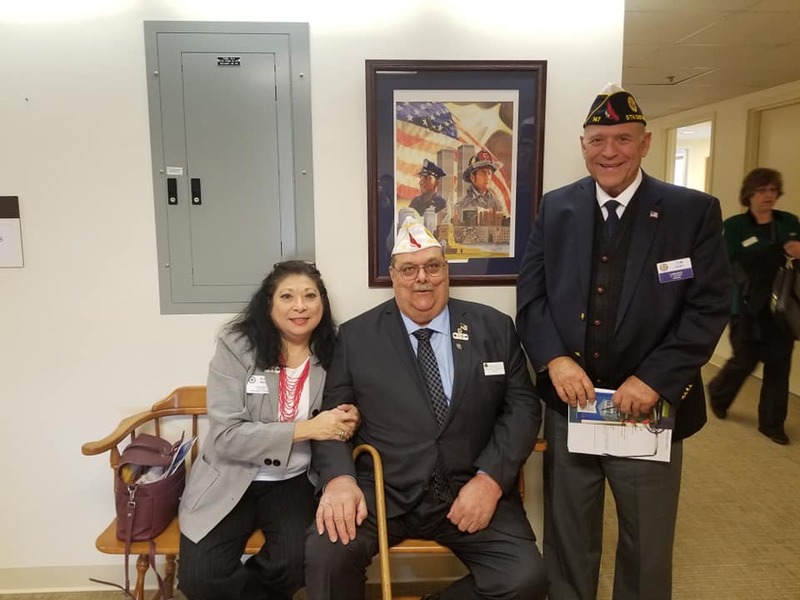 The Legion Delegation had the opportunity to express to their Delegates and Senators their concerns on Veteran issues throughout the Commonwealth. Clint Bolt Leading Candidate for SAL National Commander seated in the Gallery for the Senate Session opening. The Legion Delegation was then seated prior to the noon opening of the General Session and watched as the Senate completed their normal opening prayer, Pledge of Allegiance, and then the members in the Gallery were introduced to the body. The Legion Delegation boarded the bus to return to the Department of Virginia Headquarters at 1:00 PM.